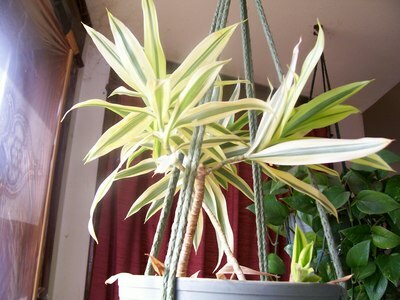 Here is the other picture of the plant I need help idenitifing. It looks like a Dracaena or Cordyline, but I can't quite match it from the ones in the book I just looked in. Dracaena are alsok known as false palm. yep would agree from the stem would say more likely to be a Dracaena - but there are so many different ones hard to say what variety. Its very nice anyway- better than the plain coloured ones!